The J.D. 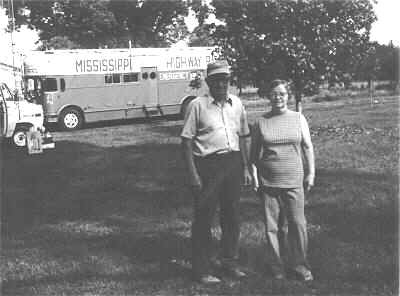 Hurtt's of rural Toomsuba, MS. The Mississippi Highway Patrol command post was set up in their yard about 8 a.m. Tuesday, May 23rd. Shortly after noon, the Alabama Highway Patrol command post moved to this location.